The tea has been spilt! The artist known as Machine Gun Kelly has continued his feud with rapper Eminem by mocking the rapper onstage. The two artists have been going at each other for a while now since Eminem targeted Machine Gun Kelly with his song on his newest album kamikaze called Not Alike. Due to this MGK decided to respond to Eminem with his own diss track. After this Eminem retaliated with a song going by the name of Killshot which was released Friday 15th September 2018! The artwork to "killshot" features MGK's face as the target of a gun with a smiley face bullseye on his head. Eminem raps: "Younger me? No, you're the whack me/It's funny, but so true/I'd rather be 80 year old me than 20 year old you." He follows with: "How you gonna name yourself after a damn gun and have a man bun?" further throwing shade at rapper Machine Gun Kelly. 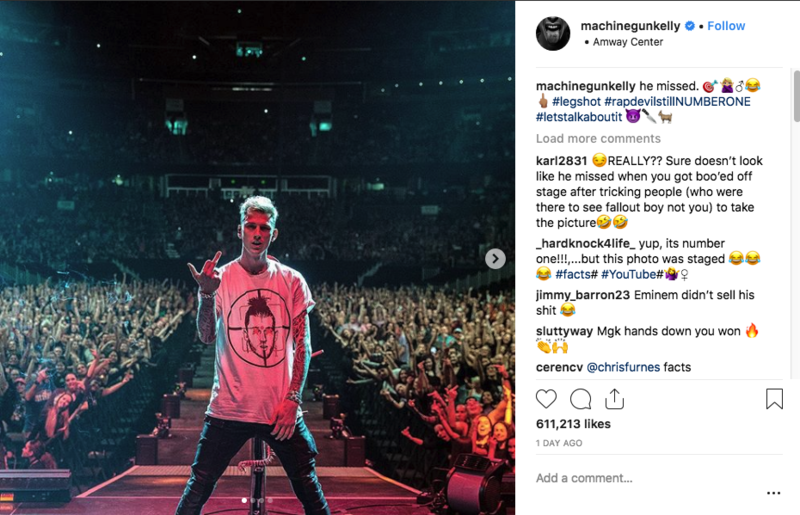 As well as twitter MGK posted a picture on his Instagram of him in a shirt featuring killshots artwork while he is performing in the Amway centre. Kelly is shown holding his middle finger up can is captioned "He missed. #legshot #rapdevilstillNUMBERONE #letstalkaboutit." 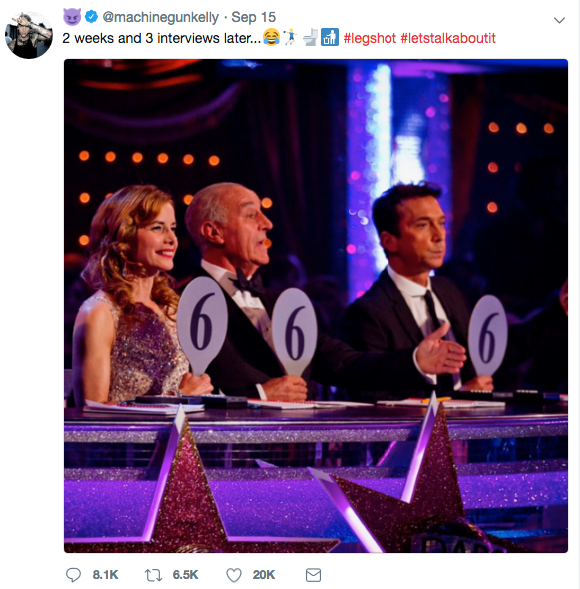 The photo also shows audience members holding up their middle fingers. The killshot singer still has yet to respond. What do you think will happen Next? ?